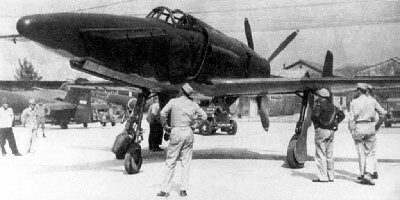 Towards the end of the Second World War, as American forces moved ever closer to the Japanese home islands, and B-29 bombers began pounding some of the country's main cities and industrial complexes, the Japanese Imperial Navy started developing an aircraft designed specifically to combat the American heavy bombers. 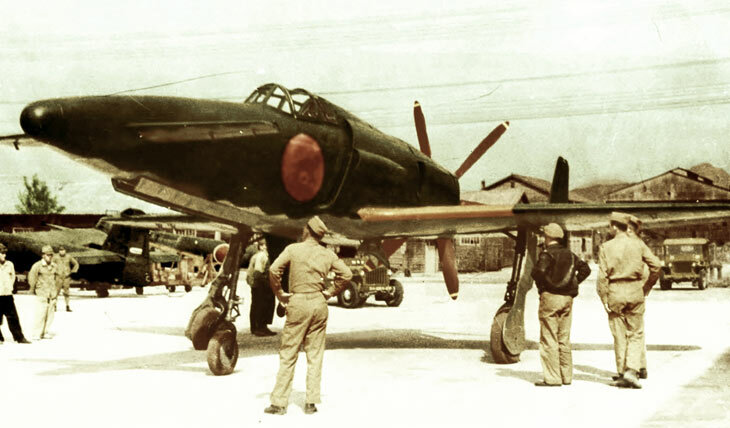 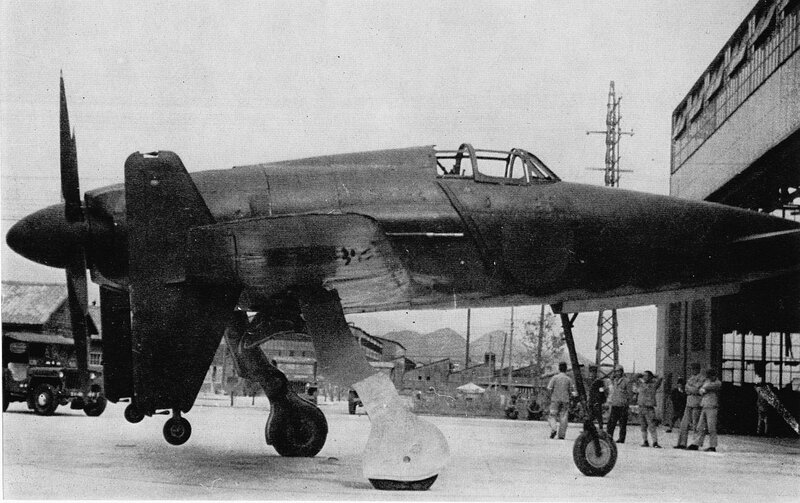 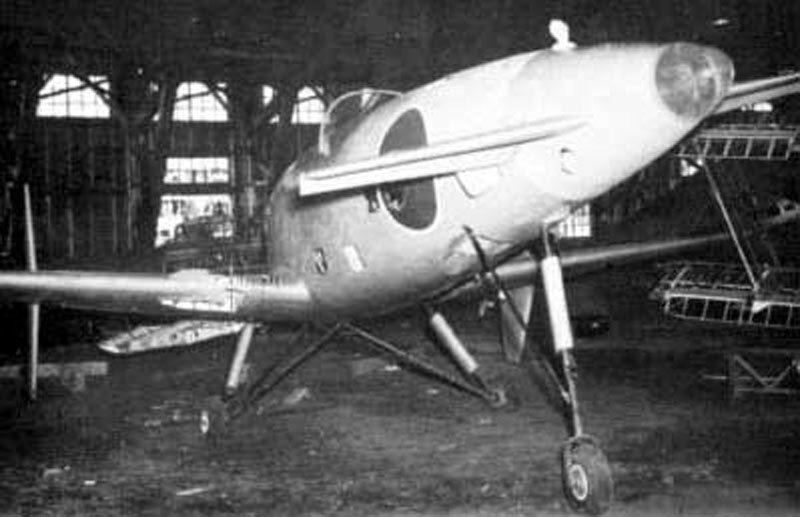 The Kyushu J7W Shinden ('Magnificent Lightning' in Japanese) was an unorthodox design which featured canard wings and 6-bladed pusher propeller at the rear. 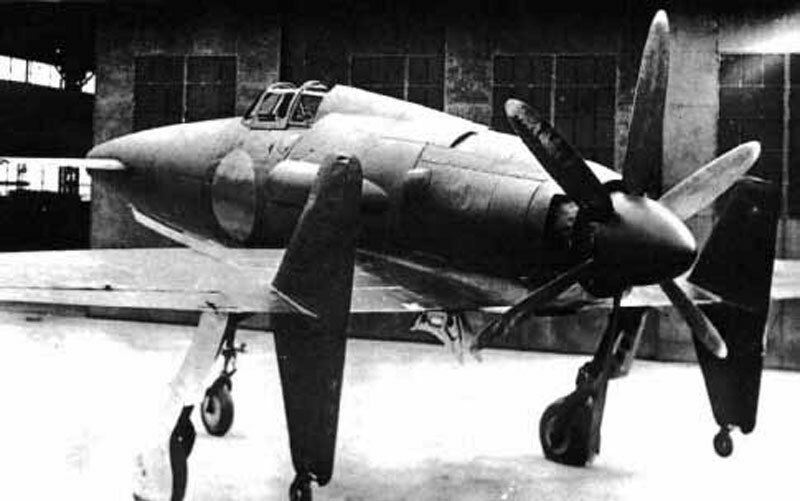 It was intended to be a short-range, land-based, high-speed interceptor with agile handling and plenty of firepower thanks to a quartet of 30mm cannons in the nose. 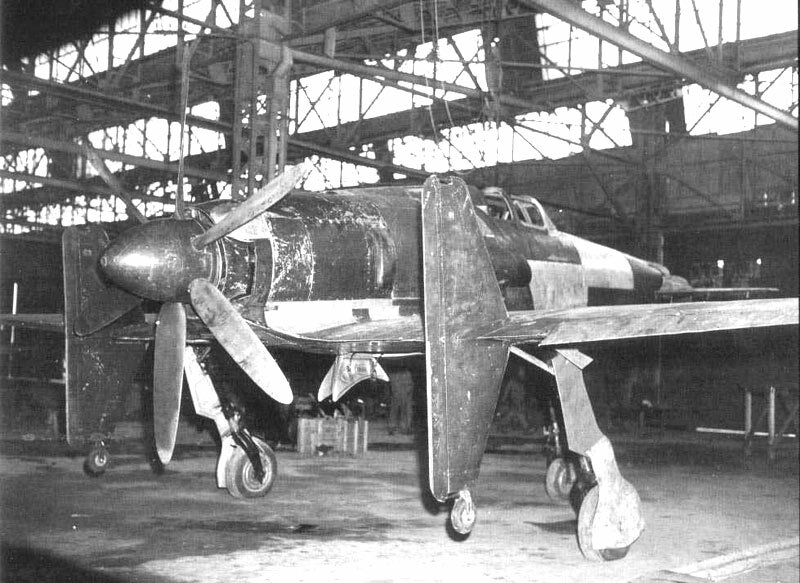 The rear mounted engine and propeller configuration was chosen as it would have allowed for easier upgrades to more powerful turbojet engines when they became available. 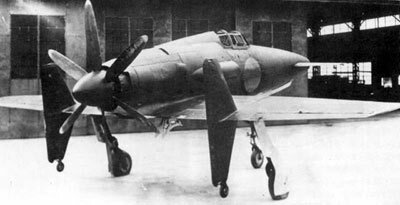 As it was this never materialized, and the two prototypes which were constructed were fitted with supercharged Mitsubishi MK9D radial engines producing 2,130 horsepower. The engine was cooled by long, slim intakes running down the sides of the fuselage. 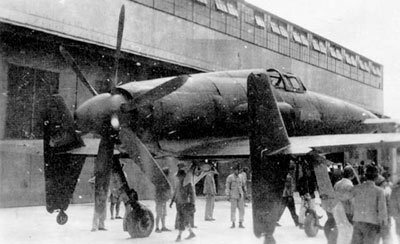 While this was enough when the aircraft was in flight, while stationary on the ground the engine had a tendency to overheat. 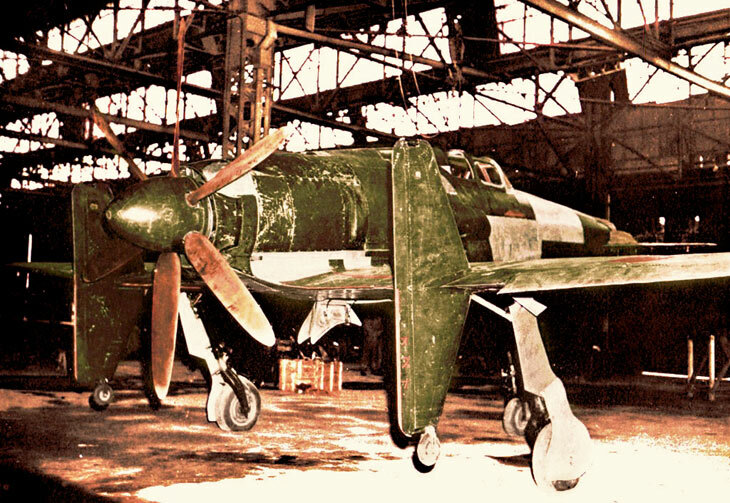 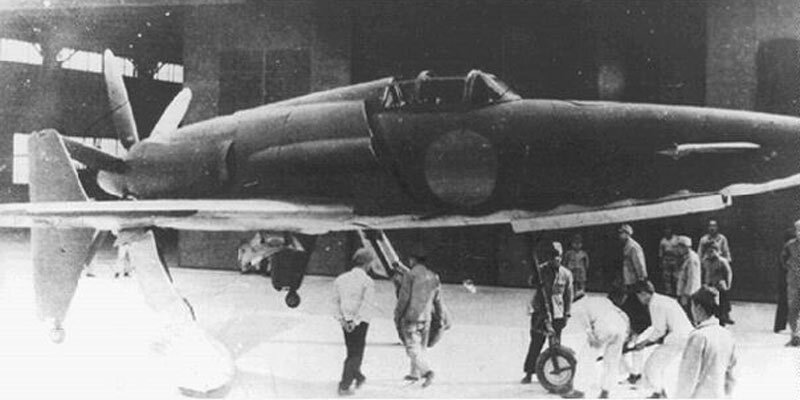 Before the Shinden had even been tested in the air, the increasingly desperate Japanese military had already ordered the aircraft into production. 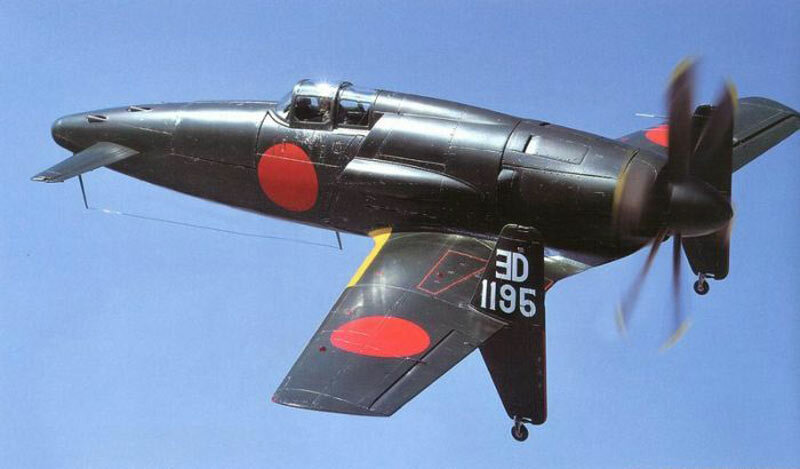 150 aircraft a month were expected to be produced between two separate factories, and it was estimated that just over 1,000 Shinden's could be operational by early 1947. 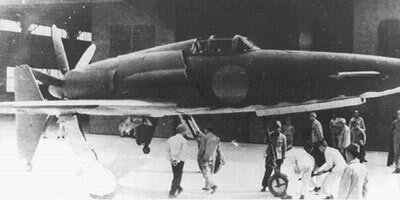 But the Kyushu J7W Shinden arrived very late in the war, the first flight only took place on August 3rd 1945, and two more short test flights occurred in the coming days. However just three days after the aircraft had first taken to the skies, the first atom bomb was dropped on Japan, and just over a week after that Japan surrendered. 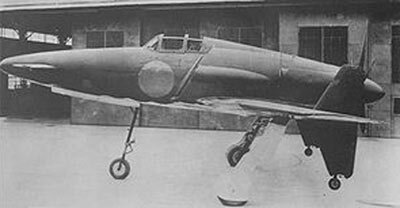 It's highly likely the Shinden was the last prototype aircraft to be developed and test flown during the final days of World War 2. In the end the two prototypes were turned over to American forces. 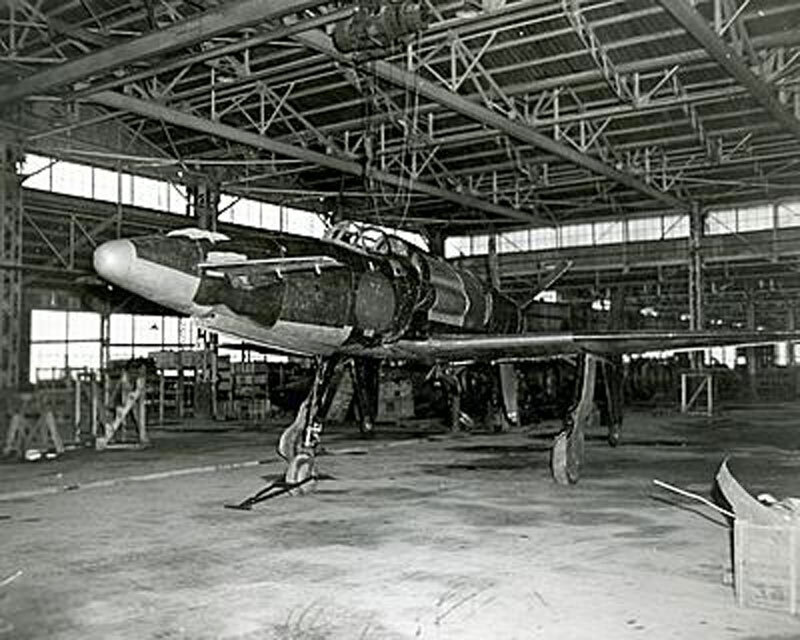 One was scrapped, while the other was dismantled and taken back to the US. It was reassembled but never flew again. 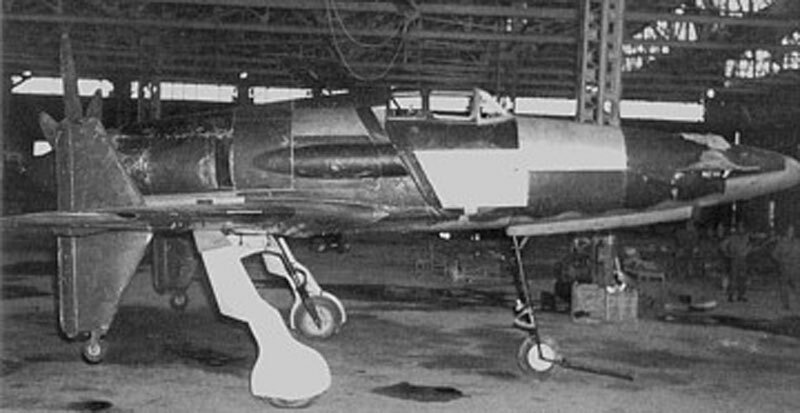 It is currently in storage at the National Air and Space Museum in Washington DC.